School backpacks should be lightweight and comfortable. They should have plenty of pockets. They should hold up and look great. As a parent, knowing the best backpacks for your children at every stage of development helps you keep them healthy, organized and in good standing to excel in school. The following backpacks for school will take your children from kindergarten through college graduation in style. Our backpack buying guide for school could only contain so many backpacks, to see more, checkout the Best Girls & Boys Backpacks for School. Even though it’s half the size, a slider is every bit as delicious as a burger and so it is with Kanken’s little brother, the Kanken Mini. All the style and craftsmanship of the original in a tough and tiny package makes Fjallraven, one of the most popular backpack brands. The Fjallraven Kanken Mini is a popular, pint-sized backpack with the top features of the full-sized Kanken pack, making it perfect for kindergarten students. Crafted from durable, water-resistant Vinylon F material, it has adjustable nylon webbing straps that keep it firmly in place on your child’s back. A generous zipper opens wide, and side pockets keep pencils, markers, and other supplies handy. Keep your little one prepared for everything from school days to weekend outdoor excursions without missing a beat. Even though it’s half the size of the original Recon, the youth-specific shoulder straps accommodate the younger form for all-day comfort, and a foam-padded back panel provides comfy cushioning. 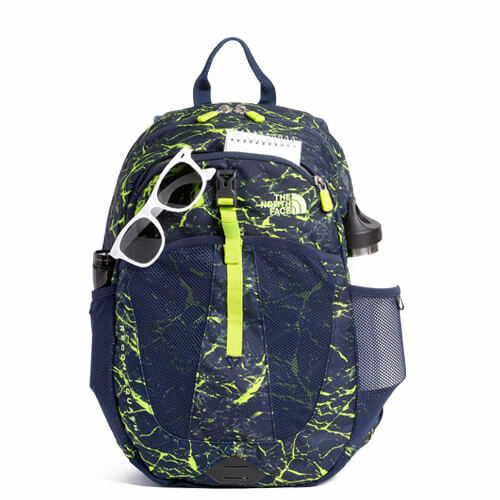 A miniature copy of the adult Recon design, this top option in school backpacks features a tough nylon exterior and kid-friendly backpack colors. Breakaway sternum straps and a padded panel are easy on the back of an elementary student. With generous main cargo space plus a top zippered pocket for small belongings, The North Face Youth Recon Squash Backpack is perfect for the school bus, the classroom and beyond. For the individual that likes to crank it up a notch, this backpack rocks hard. With padded shoulder straps affixed to a light weight frame and a fun selection of colors and prints, it’s a bag that speaks as loudly as you. The JanSport SuperBreak Backpacks for school come in backpack colors that bubble with possibilities. The large compartment holds show-and-tell items and a school lunch while the handy exterior pocket zips up your child’s cherished belongings to prevent losses. Padded shoulder straps and back panel keep it comfortable. As its name would imply, this backpack is a daily driver. This is an honest bag that, while basic in design, doesn’t cut corners on quality. This is a fun, no-hassle bag that offers 21 liters of space, a 15” laptop sleeve and a padded bottom. Plus, the variety of styles it comes in makes the 365 100% cool. The Dakine 365 Pack 21L Backpack is proof that the best backpacks never go out of style. The rugged 600D exterior stands up to serious use for middle school students going from class to class. The secure interior sleeve protects a 15″ computer, getting it to school and home again safely. Sometimes all you need is a solid, dependable everyday backpack that doesn’t try to be what it isn’t. This is that bookbag. Available in many colors, this trusty companion can keep your 15” laptop safe in its padded compartment, has room on the sides for your beverage of choice and it has a zippered front and fleece lined pocket for keeping your glasses scratch free. 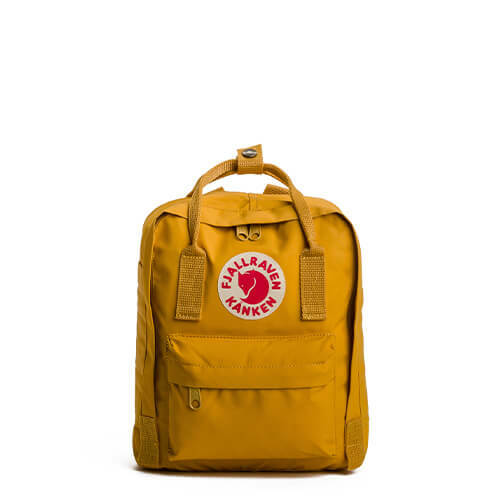 Available in a rainbow of bold colors in heavy-duty waxed fabric, the weather-resistant Fjallraven Raven 20L Backpack is among your top options in backpacks for school. Highlights include a padded electronics compartment and a fleecy pocket that protects sunglasses from scratches. Padded, ergonomic shoulder straps and a leather-wrapped grab handle complete the package. 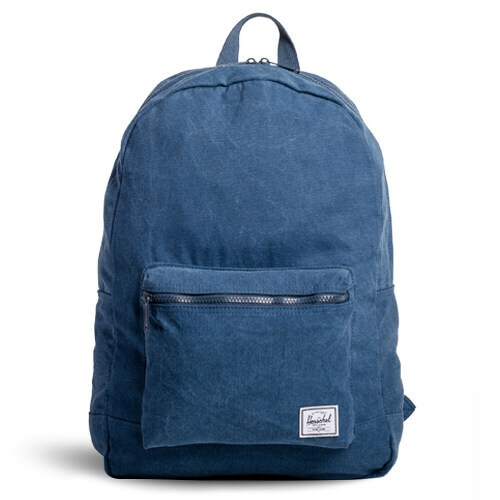 A classic design curated from a cotton canvas brings this Herschel Daypack to life. Strapped with a zip around closure, Herschel’s signature pinstriped lining, and a front storage pocket, this practical pack is prepared to endure through the most rugged school days. With its contemporary and roomy details, this daypack is adaptable to any campus activity. The Herschel Supply Co Daypack Cotton Casuals Backpack delivers the casual, dressed-down look your middle school student craves. The top zipper opens wide, and the exterior zip pocket secures your child’s iPhone, ID and lip balm. Inside, there is ample space for sports gear and school books. Think of Expressions as being the Right Pack’s more flamboyant cousin. Sharing many of the features of the original 1967 JanSport backpack, this one also offers a host of progressive color patterns. You’ll have everyone in the quad turning their heads when you walk around with one of these. 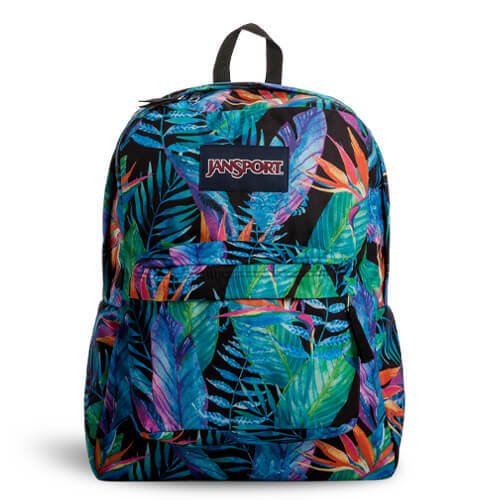 The JanSport Right Pack Expressions Backpack goes back to school with classic styling and a touch of attitude. The timeless design includes a tough fabric upper and a durable suede bottom. Such features as a generous interior slip pocket and ample cargo space facilitate a seamless transition from sixth period trig to the varsity soccer field. 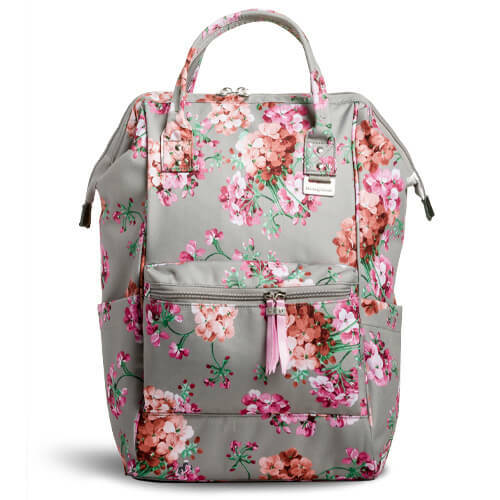 The Kipling Seoul Go Backpack is one a student can’t live without. Its vintage vibe is emphasized by a retro logo, large zippers, and its water-resistant crinkle nylon fabric. Whether carrying this to campus or on the commute, it still hones a modern touch with its 15” laptop sleeve, a padded grab handle, and a cute furry monkey keychain dangling from its silhouette. Choose your favorite colorway and find your way with the Seoul. 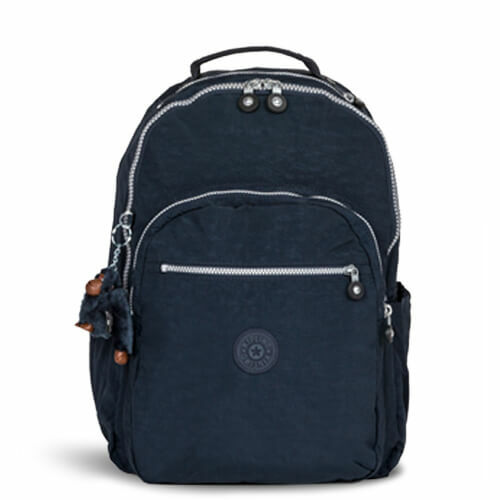 The Kipling Seoul Go Backpack has a distinctive vibe that elevates it to the top of the best backpacks hierarchy. Exposed zippers suggest heavy-metal edginess on a background of water-resistant, crinkle nylon black. Zippered pockets, padded straps, and an integrated laptop sleeve all contribute to the utility while the furry monkey keychain and the monogram option provide the trend-friendly flair. Arrive in style with the chic Swissgear 3576 Artz Laptop Backpack in tow. Inspired by the fully-opening construct of a doctor’s bag, pop opens its wide main compartment for quick access to your things. 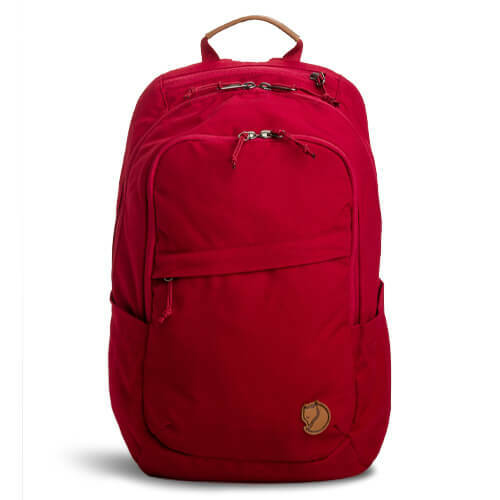 Backpack of the year for the stylish young woman, the Swissgear 3576 Artz Laptop Backpack is destined to number among the favorite backpack styles of all time. A modified doctor’s bag profile, padded straps and carry handles, a secure front pocket and pretty contrasting lining are a few of the features you get in this iconic tote. When a leopard strikes, its claws are deadly. Only this time, the Sprayground Red Leopard Shark pack captures the sick design of the stealth feline without the fatality. This pack’s dotted red rubber shark mouth and shredded logo are inspired by the sly cat while its functionality is just as quick-witted. The Sprayground Red Leopard Shark Mouth in Rubber Backpack puts some pop in the school year. The savvy graphics are sure to draw admiring eyes in the hallways. A mesh organizer pocket, a plush pocket for specs, a zippered stash pocket for a cell phone and the ergonomic design combine to promote organization and comfort. Heavy backpacks are uncomfortable, hard to handle, and bulky. Carry load backpacks and rolling backpacks both offer great solutions that won’t exacerbate pre-existing conditions like scoliosis and spinal injuries, but they minimize your student’s risk of chronic back pain. The pursuit of a higher education requires its own set of survival tools, a reliable backpack being key among them. This oblong beauty is ready to get matriculated! Unique looks, tons of space, padded laptop sleeve, side mesh pockets and a place to keep your munchies fresh. 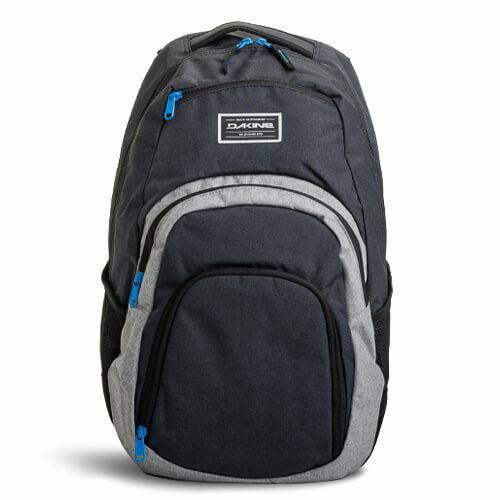 Padded, naturally contoured shoulder straps and adjustable sternum straps work together to enhance the ergonomic comfort of the Dakine Campus 33L Backpack, helping to position the weight in just the right place. The side mesh water bottle pockets keep hydration near to hand, and the 600D polyester exterior will hold up to hard use. This pack enjoys all the features of the original Right Pack but modified to carry all your digital gear. It has a padded back panel and a slightly plusher, more breathable set of shoulder straps than its predecessor. The bag also comes appointed with a fully padded 15” laptop compartment and a tricot-lined tablet compartment. Specially formatted for safe transport of your electronics, this is the Right Pack for the high school years. 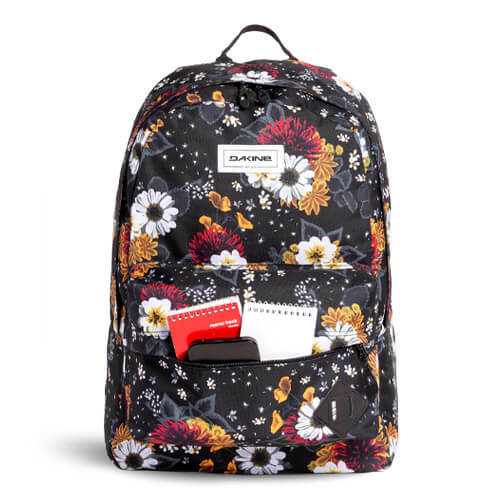 The padding on the Jansport Right Pack Digital Edition Backpack along the back and breathable mesh straps promote cool comfort, while the zippered exterior stash pocket holds an iPhone or tablet. 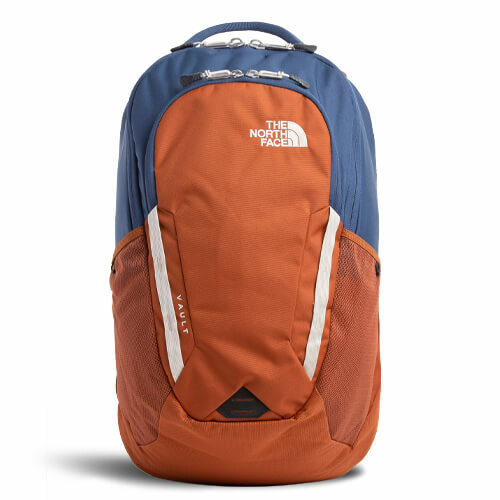 The North Face has unleashed the ultimate everyday backpack for city exploration. This 28-liter Vault entails a deep main compartment with a floating 15” laptop sleeve, a front organizer compartment to store your sleek tablet, and TNF’s signature FlexVent suspension system for lush comfort. No longer explore foreign cities or commute the same; pick up the Vault backpack and depend on its reliability. Around the corner or around the world, the North Face Vault Backpack is serious gear for the school commuter and explorer alike. The proprietary FlexVent suspension system lightens the load – the packs holds up to 27 liters in volume – while the padded, floating laptop sleeve provides security within the roomy interior space. College ups the ante on high school in terms of the supplies, the books and the binders you need to carry with you for the advanced classes. You also have to walk farther between classrooms. That’s why a rolling backpack can be a lifesaver on college campus. It is also a great carryon for trips home over the holidays and summer break. Remember racing those rugged rollers down the hallways? Well, meet their worthy offshoot: JanSport’s Driver 8 Backpack. A convertible, spacious pack, the Driver 8 houses a padded retractable handle, 80 mm inline wheels, tucked away shoulder straps, plenty of compartmentalized space, and a padded 15” laptop sleeve. 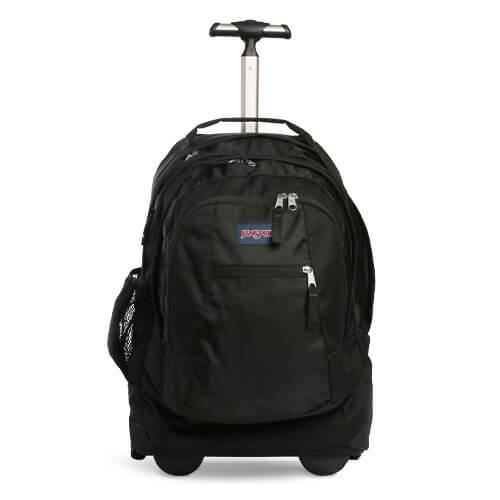 Whether you’re a student or wanderer, glide this baby easily down the halls or through an airport to your next destination. 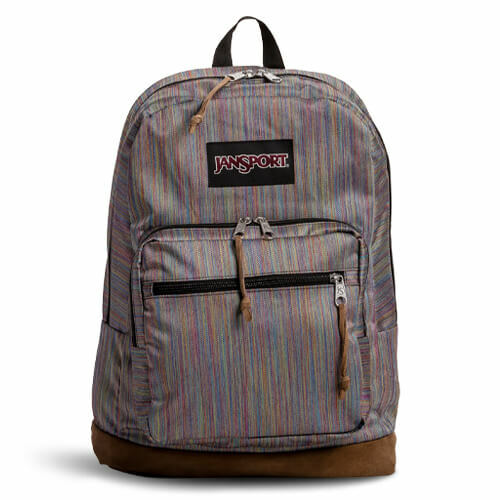 One prime example of how awesome a rolling backpack can be, this JanSport Driver 8 Backpack. This version features 8 mm inline wheels, a retractable handle, two large compartments, zippered pockets and water bottle sleeves. It is convertible into a conventional backpack too. Share your adventures with us! 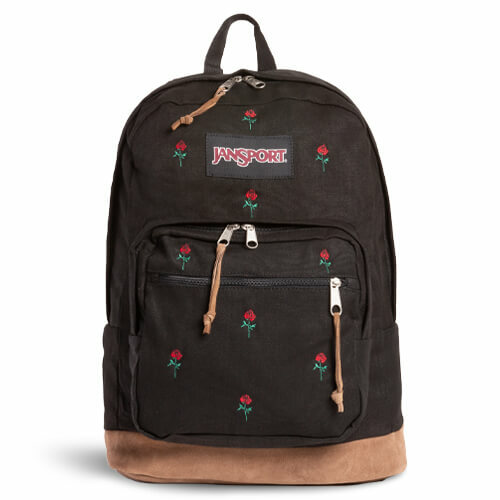 Get your next backpack from Backpacks.com. Visit us on Facebook and Instagram and share the locale and some of the memories you captured and you could be featured in one of our upcoming blogs!